Restaurant Point of Sale (POS) system has now taken place of old traditional method of using cash register and more and more restaurants have started using this now. Restaurant POS has many advantages to offer like being easy, reliable and efficient, thus making the whole restaurant system more efficiently operational, steady, and in control. It has been observed through research conducted by National Restaurant Association that most of the managers in a number of restaurants are considerably relying on computer operated systems because working on computers ensure that whole restaurant is running smoothly. Working on the computer makes life easy as compared to using paper and pencils. Now doing calculations and keeping record is far more simple, quick, accurate, and affordable. In similar fashion, POS system have revolutionized the hotel industry, and made restaurants to serve at their best. Computer technology has revolutionized the hotel industry and made it more competitive, proficient, and well-organized. Use of modern day computer technology can help the restaurants to shrink their labor expenses while remaining competitive and efficient at the same time. Point of sale system was introduced in the hotel industry in mid 80s. Since then, it has become most popular and widely used among all the restaurants all around the world. This technology is most widely in all food service providing companies, which not only includes hotels and restaurants, but franchises, catering and home delivery. Restaurant POS system is an electronic alteration for cash register, with some handy additional functions. 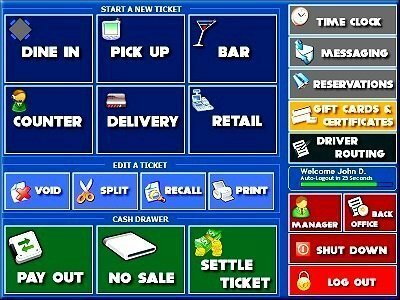 A restaurant POS system might seem just a single touch screen computer, but it controls whole restaurant system. POS system for restaurant may work as a single unit that is operated by a manager or it may be a complex of different stations interlinked with each other and placed at various locations, such as at kitchen, bar, dining room, host station, management office, and bar. All in all, restaurant POS system is the main hub for all operational procedures of the restaurant. POS tools ensure enhanced level management at all levels. Programmed to work with different applications, POS system enhanced the management for guest services, office system, kitchen operations, table servings, loyalty programs, business intelligence, and online reservations. POS system can also integrate a single place into high scale independent big chain corporation. POS systems that possess the characteristic of scalability and expansion are high in demand, though all systems fulfill basic purpose to install POS in restaurant. Though the POS system must be programmed to properly perform daily vigorous routine functions and must be multipurpose and versatile enough to efficiently check the order entry and menu listing per guest. Leading POS system providing companies are now offering compatability of these POS systems with different operating systems. It is totally up to the owner what option he go for, depending upon the ease of use, need, type of restaurant and speed of internet connection. With different options for operating system, a wide range of other specifications also increase. As different operating system provide different options for applications, peripherals, and design. Improved and enhanced software is capable of providing reduce touch screen options with more reliability and much less fuss. Receiving of orders through electronic system enhance the efficiency the work by speeding up the communication between bartender and kitchen staff. Time saved in the beginning reduce the time needed to serve the guests, which in turn decrease end of the meal time, thus making tables free for next guests as early as possible. POS System of restaurants is highly beneficial to ensure the accuracy of food quantity, guest’s demands, and complete specifications. Complete and comprehensively printed list ensure that exact same order is prepared by the kitchen staff. By placing menu items from guests on the computer, the system automatically generates already put price of that item. Thus through automated system, there is nearly no chance of pricing error. Simultaneously additional tax, discounts on specific items, and grand total is also automatically calculated. By using automated POS system in restaurants, server productivity tremendously increase. Because they’ll have to spend less time in going here and there to take and pass guest orders, So they’ll spend more time entertaining guests, explaining menu, and answering guests’ questions properly. Depending upon the quality of POS system software, many advanced functions can be entertained. For example, many advanced restaurant POS systems can generate different types of management reports, this system can also keep track of previous record of all tips for tax reason. In a nutshell, POS system for restaurants is beneficial to record sales information, accounting balance, customer tracking, employees’ performance report generation, report generation particular dish’s popularity, comparison of sales of different dishes and their record, credit card payments, online reservations, online cancellations, prevents incorrect food to be checked on the list, calculate exact total billing amount, show tax information, keep track of the inventory, prevent any confusion to the kitchen staff, important to save time so servers work more efficiently and more tables get free in less time, thus making more room for next guests. All in all POS system is a must for restaurants to run smoothly and work accurately. An official use computer system in any restaurant is, of course, a must that will regulate, process, record, and control all kind of data/ information entered through POS system. Touch screen availability enhance the function and increase the feasibility to use LCD, because with that, you can select whichever tab or document you want to open/ view. Touch screen systems are more easy to use than old fashioned keyboards, because touch screen gives you a wider range of control to use different options, and is more user-friendly. Software can be described as a set of instructions or applications that are programmed to perform certain functions on computer system. Purchase and installation of this software on official computer system, is done by hotel management. There are different kinds of restaurant POS systems that vary depending upon their software complexity, which in turn determine that how many functions this POS system is capable of performing. Some of the major functions that POS systems software is programmed to perform includes, orders receiving, sales tracking, checks calculation, credit cards processing, and many others. Other than these functions, many important management reports, for instance, inventory reports or employee reports can easily be generated through POS system software from the office computer or from any other point, just with the help of single password. Printer is used to imprint product and price information, and is fundamentally important at different points in a restaurant. Such as, printer is used at food and beverage tills, on payment receipts, to print management reports, and to prepare guest checks. Ever single information about the product can be printed on one paper, for example, at food and drinks cafe meal ingredients, quantity of each item, price, servings, and any other information can printed at both reception counter and on kitchen bar. Single POS system can be installed in different terminals. On each terminal a printer is a must, so that you can generate printed customer checks, order tickets, credit card billings, and other payment receipts. Printed management reports can be easily accessed by the manager, while seating in the office or in the dining room with use of password. Most of the restaurant’s POS systems are programmed to process and read credit cards, but if that is not the case with your restaurant’s POS System then magnetic electronically processing software can be purchased. This will increase the quality of operation and is easy to use. This card reader is linked with cash terminals such as on cashier’s terminal bar terminal or other server terminal. System read the card numbers which is linked to POS System’s server and authorize through swiping the card on the slot. Through this method, billing amount is electronically deducted from guest’s provided card. Then the cashier verify the transaction from the guest through signature. Cash drawers are mainly placed at cashier’s counter or at the food bar. This is a special drawer which is divided into specific compartments, and is normally placed beside the terminal. Presence of printer, changing machine, bar code reader, and cash drawer make the terminal looks like an electronic register. Handled order terminal is a very useful, wireless, portable POS system, used to take orders from the guests right at their table. As it is of small size, the servers can easily carry this device in their hands, or keep in the belt thus making it immediately accessible anytime. Best feature of its POS system for restaurant is its radio transmission connection with bar and kitchen. Thus the server can take order from the guests by using touch screen on the device, and quickly transfer the message to kitchen through radio transmission, making the whole process to proceed much quickly as compared to old pencil/ paper method. Handled terminal POS system is also programmed to be upgraded into receipt printer and credit card reader. Thus servers can take payments from the guests, and print receipts right away. For buying a good POS system for restaurants, some basic qualities are must. So, if one wishes to buy new or want to upgrade the existing system, then must check following qualities in it. Because it is one of the most important decisions for your restaurant that is going to affect the efficiency and quality of your place. For any business to flourish, it is really important that company take care of its regular customers. 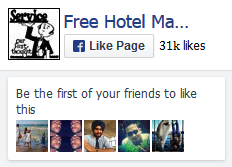 Similarly, in hotel industry, hotel management must keep record of its regular customers. A good POS system for restaurants possess customer database, and have built features like order tracking and loyalty. Through order tracking option, you can save and track down customer’s “usual” order. While the loyalty button helps you to make nice gestures like free credit points, and free food. Online reservations are a must for any restaurant. New POS system for restaurants have built in feature to record orders online. This feature is being really popular and will prosper much faster in the future. If restaurant POS system is not easy to operate, then no one can get any sort of benefits from it, as it will decrease the efficiency of operation from both kitchen staff and servers, thus upsets customers. Many restaurants have started using tablets to take orders. These tablets have taken place of notebook and pen in restaurants of all sizes and concepts. Servers can take orders from the guests, or guests can also check their desired menu item from the tablet and place order. So before purchasing/ selecting any POS system check its mobile compatibility and position of your internet connection. You must check beforehand that how much does the POS system is capable of scaling up. Well, if you are expanding your business, then POS system must be programmed to take online reservations, and tableside ordering. POS system for any restaurant must possess features to add additional stations. POS system software operate through different mechanisms to print menu items on list. Most ideal one is when the software is programmed to print food and drinks on separate lists, thus making it feasible for chefs and servers to deliver exact same food without wasting time. POS system should be programmed to respond as per feasibility of the management staff rather than responding to the hardware. This characteristic allows the staff and management to perform any sort of action from any station. Thus making it feasible to perform menu changes, running reports and employee logins on every station. As you enter your whole menu list in the software to take, track, and record orders, the POS system for restaurants simultaneously compare that which dish was most sold, thus making it easy to calculate and compare your menu according to the sales point of view. For example, you can run beef, pasta, chicken, or shrimp comparison on the basis of sales point of view, and observe which dish has remained most popular in previous days. This thing helps you to make future decisions accordingly. Restaurant POS system functions as a cash recording register and calculate all the orders for the day, total pricing, payments through credit card, cash exchanges, and total billing. POS system is programmed to efficiently record sales performance in every department. The reports of the sales performance are categorized in different sections such as employees, shifts, and management. Sales reports calculation for all day can easily be done through POS system. It is capable of generating sales reports on the basis of how many checks or tickets have been tracked that day, such as beverages sales average, total desserts sale, total customers checked in, and other similar options to calculate final sale for a day. 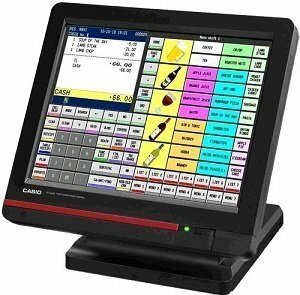 Not only Sales performance recordings, but a good POS system is also programmed to get linked and process through restaurant’s inventory system. In this way it functions to harmonize and schedule labor hours, employee’s shifts, and use of different ingredients in specific time. Not only that, your POS system can be integrated with your reservation system and maintain its scheduling with specific floor plan. All these functions combined, POS system really boost up the operational efficiency of your restaurant, and each department became more disciplined and competent. Competency and efficiency in services is a key to run successful hotel. POS system for restaurants is a must to survive and compete in the modern world, when computer technology has overshadowed traditional methods. With technologically advanced software systems, POS system has totally revolutionized the hotel industry. Restaurant POS system have multiple implications and advantageous uses all over the restaurant, from guest table in the dining room to chef at kitchen, from inventory to kitchen stove, from selecting menu items with touch screen to calculating sales in real time. POS system have marked its presence all over the place, and made it easy to evaluate the performance and keep record of everything for the management staff very easy.